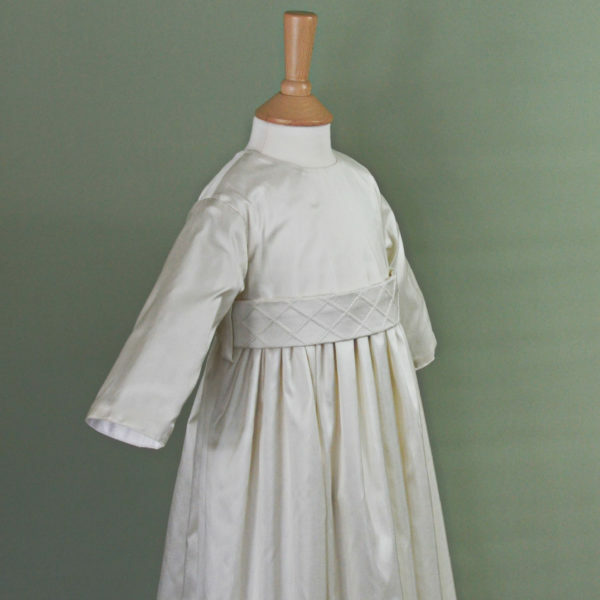 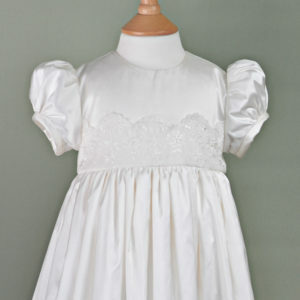 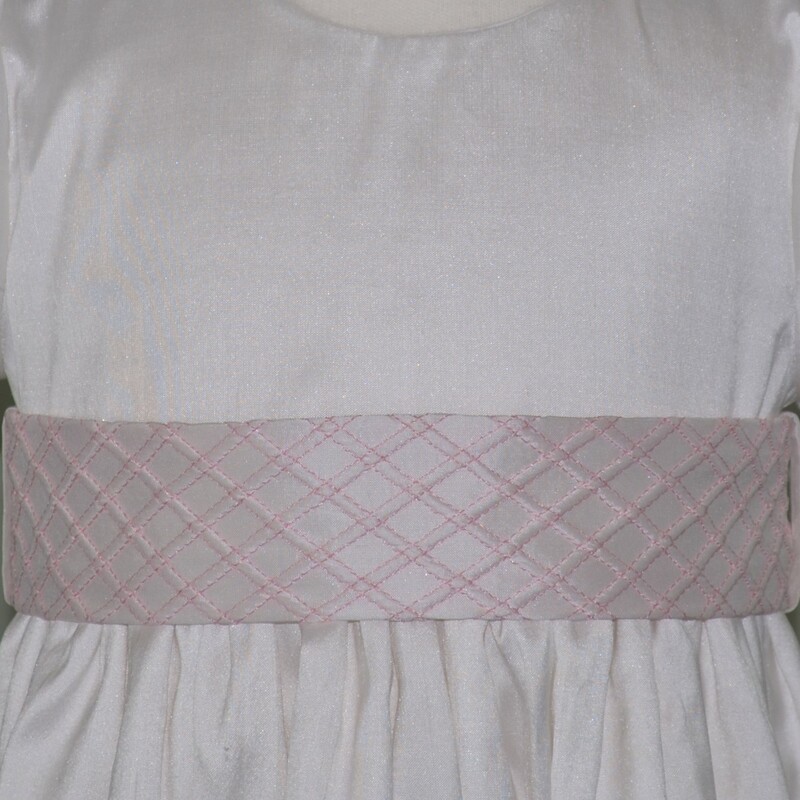 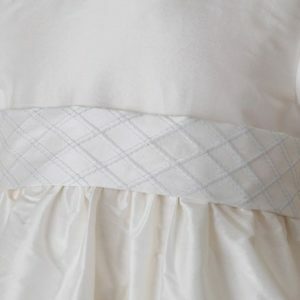 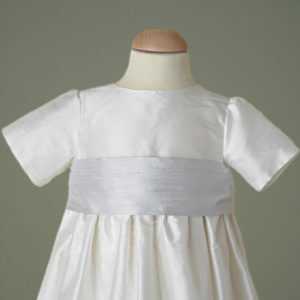 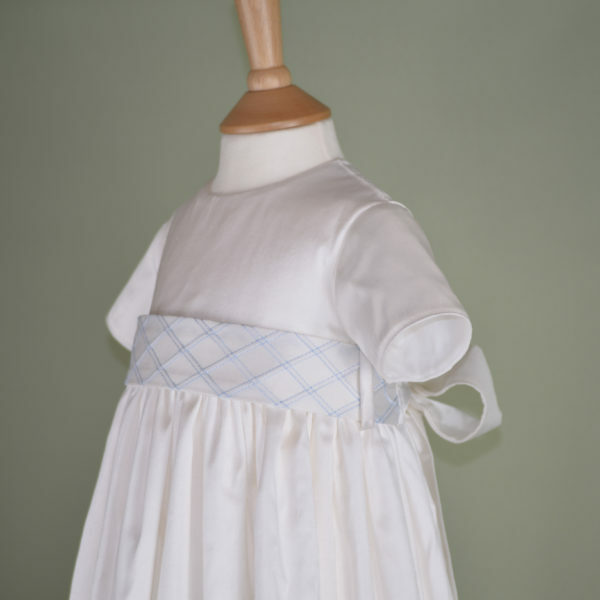 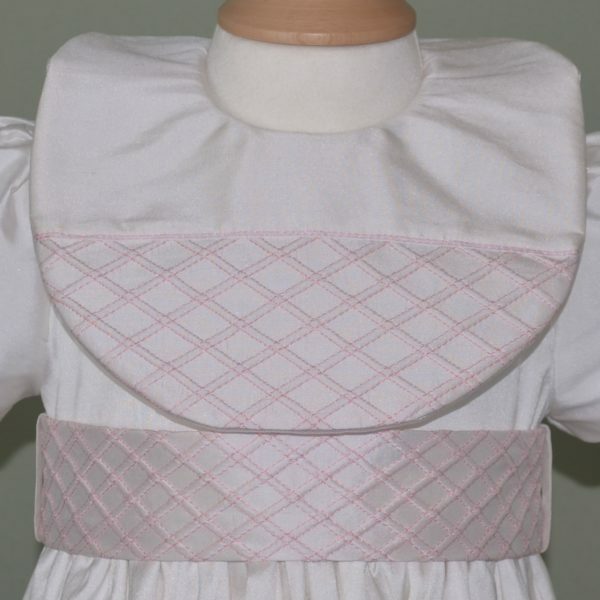 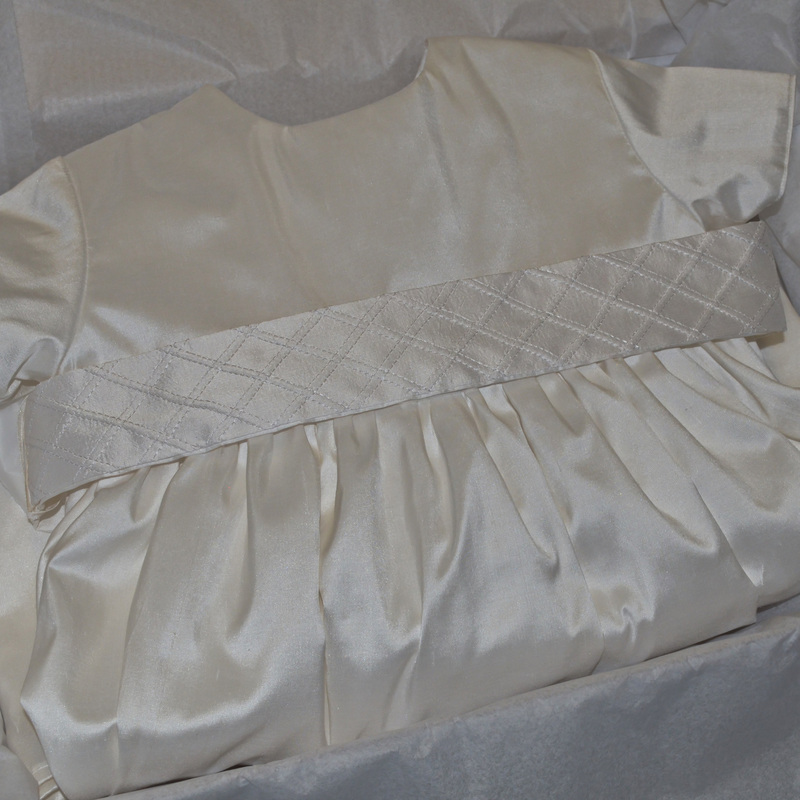 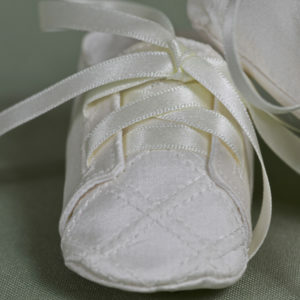 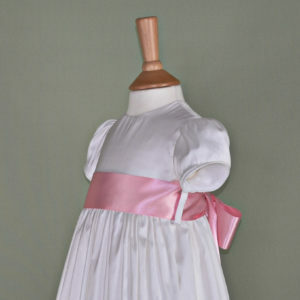 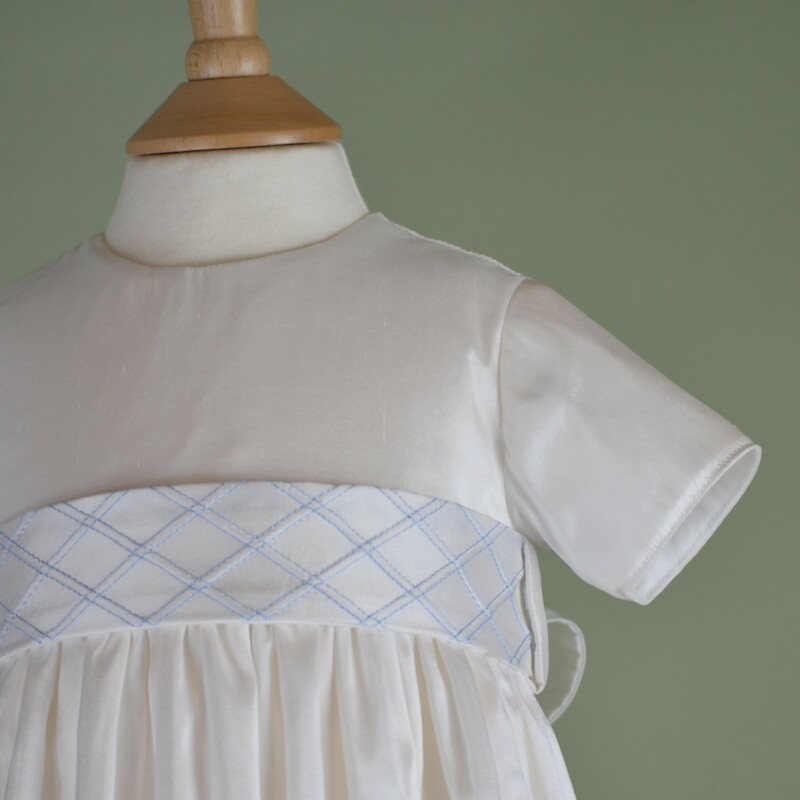 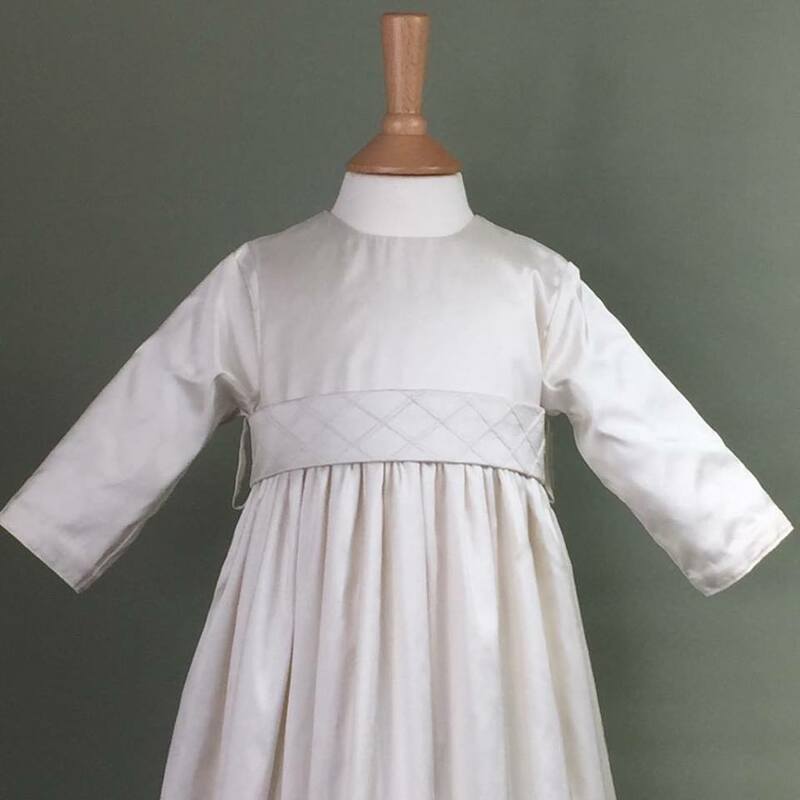 This simple, elegant full length gown is ideal for any little ones Christening Day. 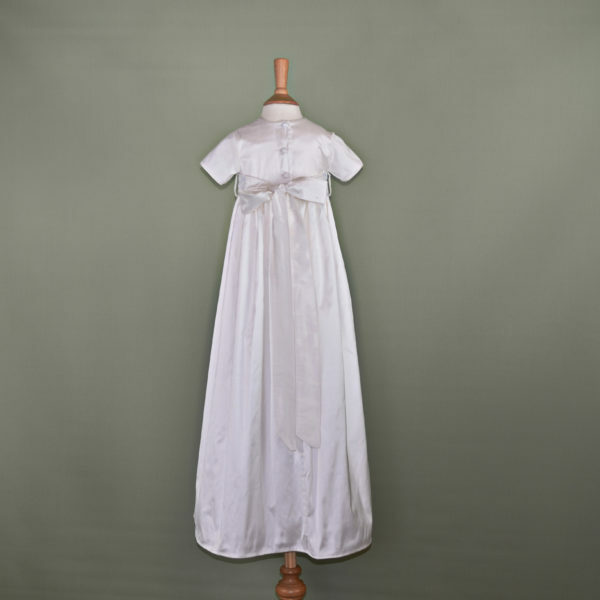 Handmade from 100% antique white or ivory dupioni silk, the gown is complimented with a sash to the waist which is embroidered with Blue, Pink, Gold or a subtle Cream stitching. 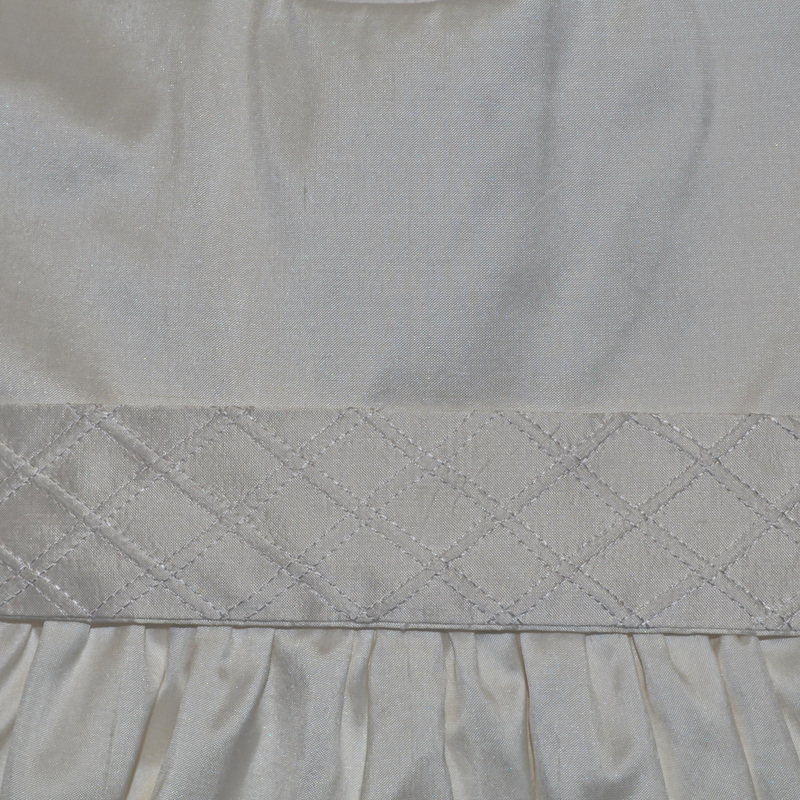 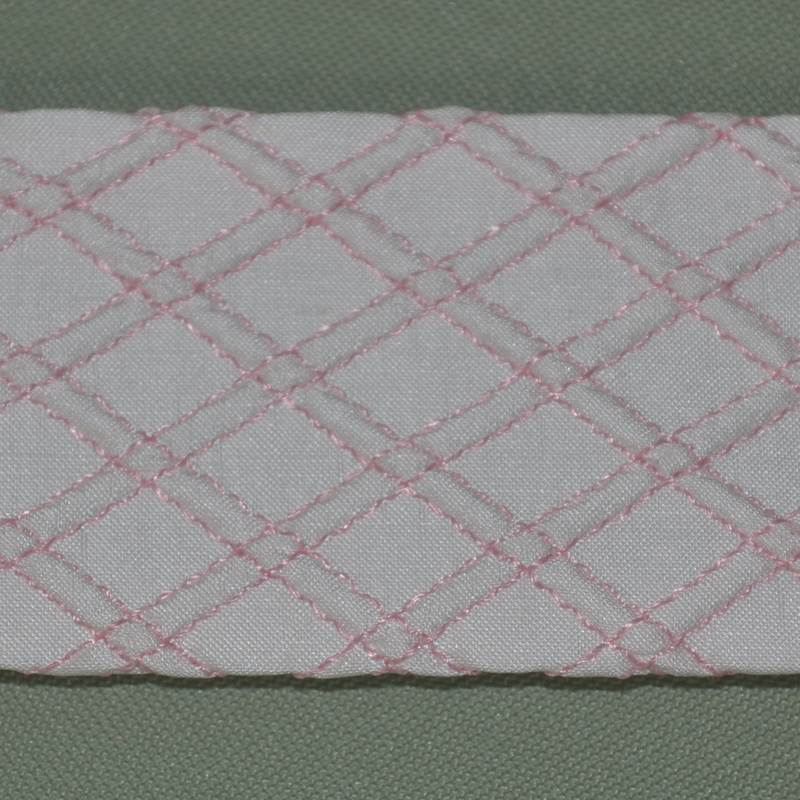 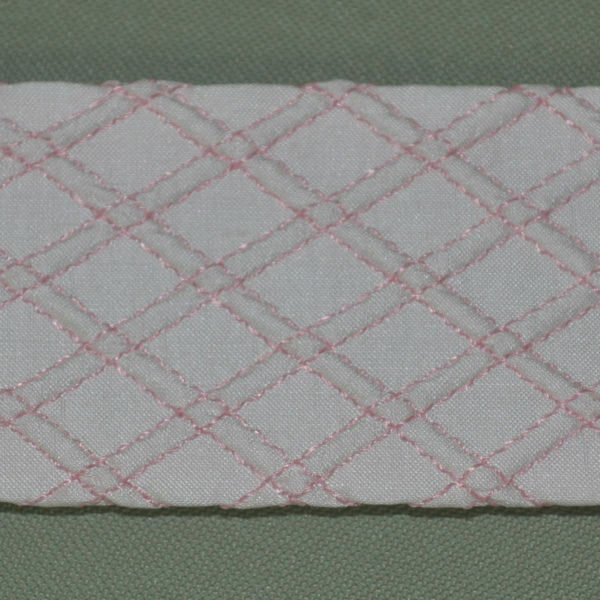 This embroidery adds delicate detail and texture to this beautiful gown. 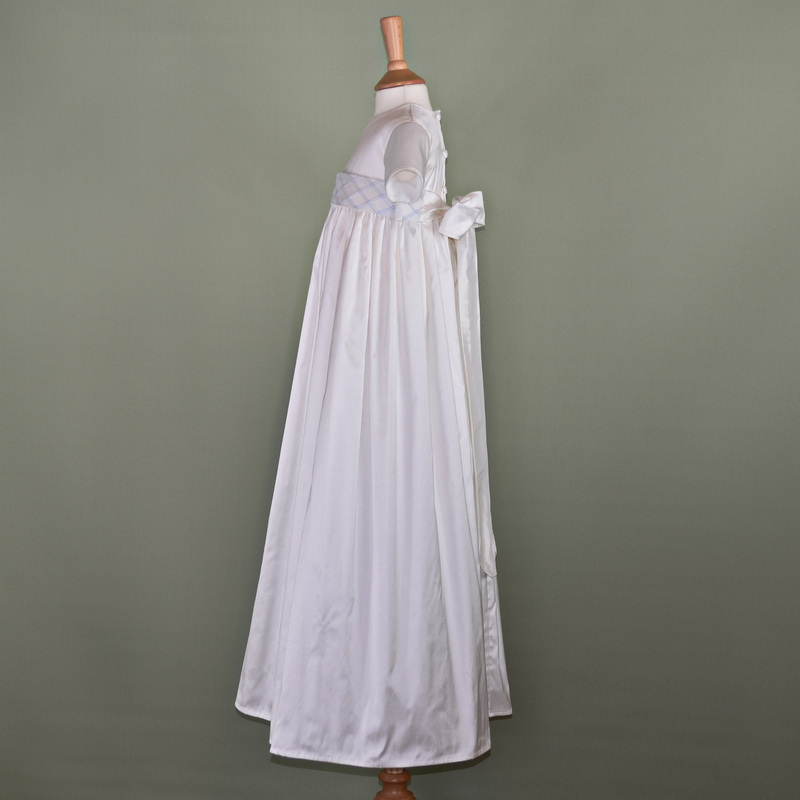 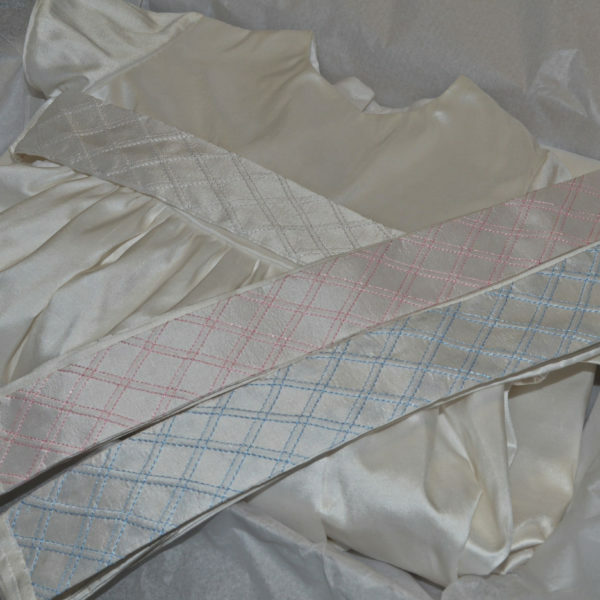 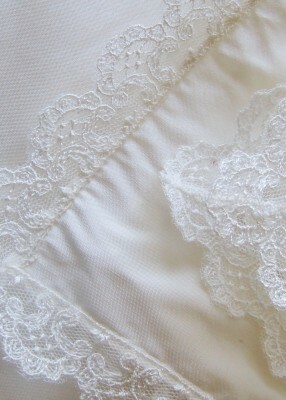 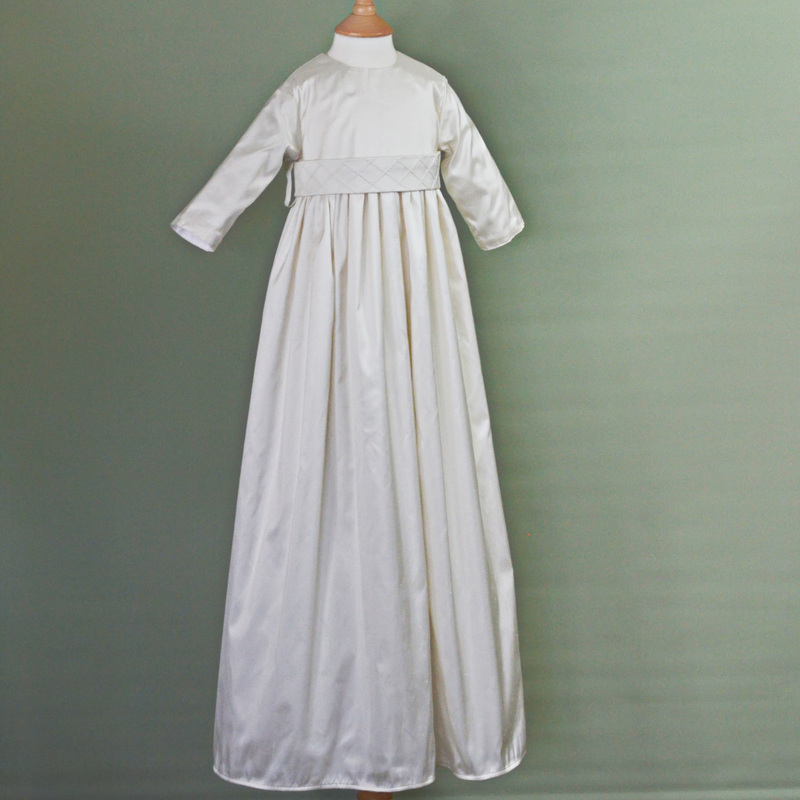 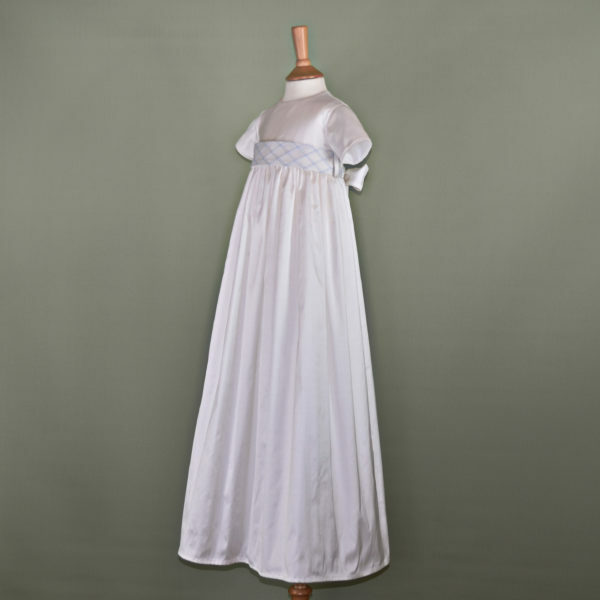 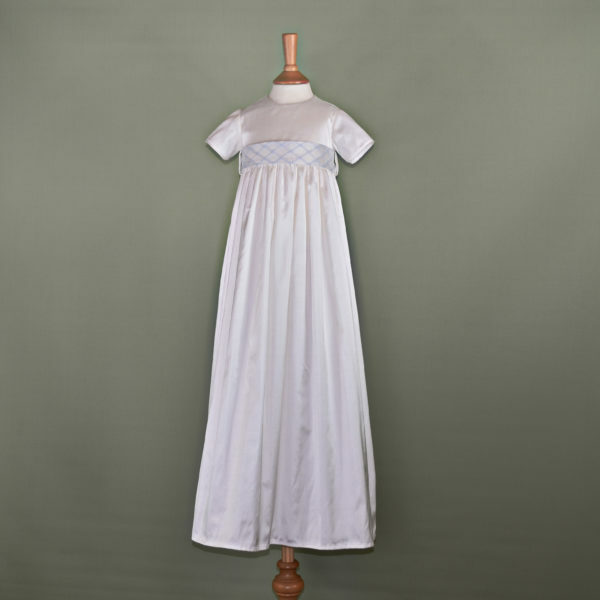 The gown is fully lined with 100% cotton lawn and fastens to the back with handmade silk covered buttons. 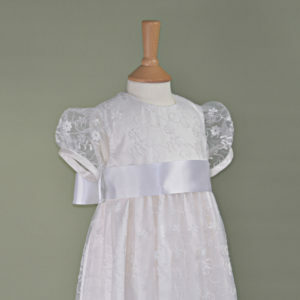 Coordinating ‘Fionn’ accessories are available to accompany this gown.